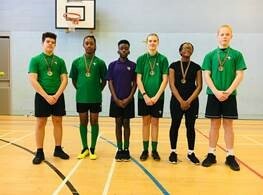 The Barking and Dagenham Indoor Rowing Championships took place on Wednesday 30th January. The Sydney Russell rowing team did us proud and gave an excellent performance. They achieved 2 Gold medals and 3 Silver medals. Well done team!